This matchup heatmap for week 2 will help you dominate your fantasy football leagues or DFS tournaments and cash games. I tested it out in week 1 and did very well. 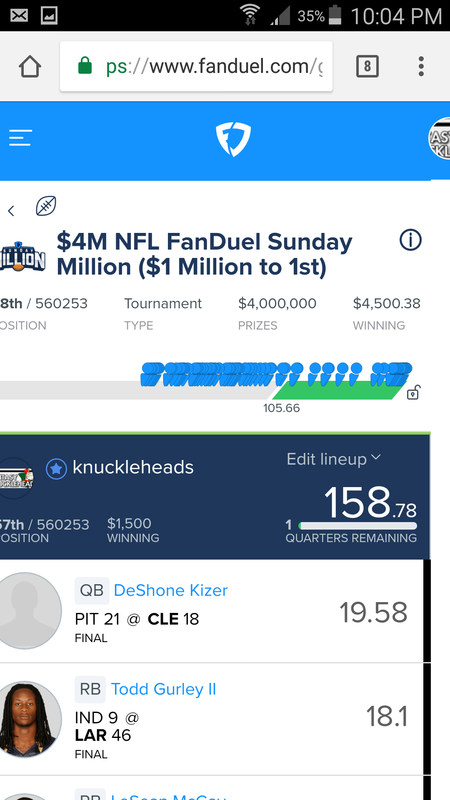 This data helped me double up and triple up pretty much each week on Fanduel last year. 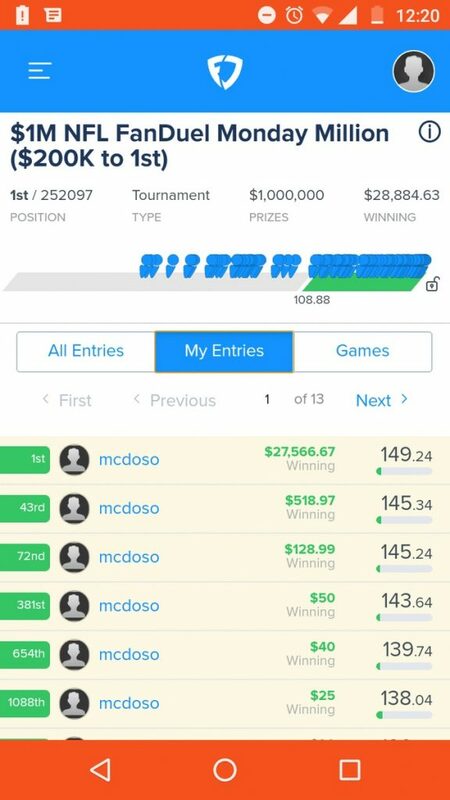 I don't play DraftKings. At a glance, row by row, you can identify which player on the team has the best matchup and if the opposing team has a funnel defense. Use the Vegas over under to find the shootouts and the "BP" column to help find GPP plays (BP stands for big plays allowed over 20 yards + players over 40 yards). Just like last year we can use the RADV and PADV to identify how, based on DVOA, the offense may choose to attack the defense. From week 2 to week 4 I'll merge fantasy points allowed and some other stats between seasons to give us a somewhat reliable number. Once week five hits all data will represent the 2017 season only. Click the heatmap to sign up for full access to all of our content. Here are the results from Seth, our lineup tool programmer, for the Monday night GPP. He hit first and split it with 8 people who also hit first. Seth used the heat map to create the player pool from which he created his lineups. And my results.. not bad. $1,000 in entry fees. My week 1 results from a large field (over half million) GPP in week 1. I was 10 points from the top, 7 points from$ 60,000, 2 points from $20,000. I also use the heatmap to find sleepers on my full season fantasy team.